It's been a busy November for the Off the Street Shelter in Sudbury, as eight Extreme Cold Weather Alerts were called during the month. Off the Street is the only place where being intoxicated is no barrier to service. 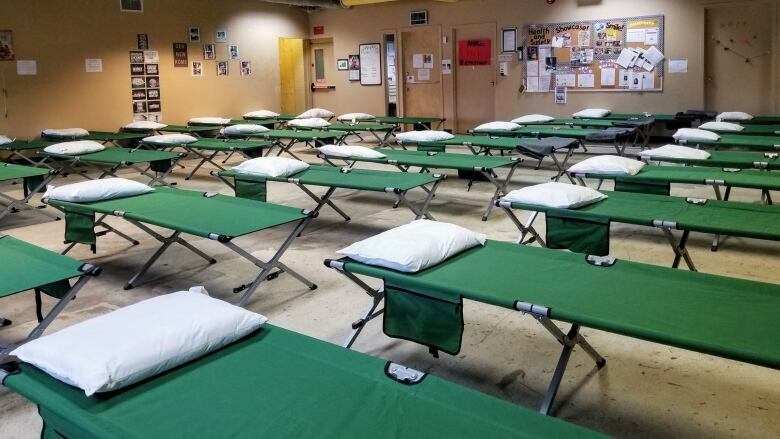 Cindy Rose, manager of Harm Reduction and Shelter Services with the Canadian Mental Health Association, said the shelter— temporarily in the basement of a downtown church while their Larch Street renovations are finished— has averaged 32 people a night, which is slightly over capacity. One November night saw 60 people use the shelter, she said, a number which prompted the hiring of three security guards this year, an increase from the two employed last year. "We want to make sure security guards do perimeter checks around the church just to make sure there aren't any individuals sleeping outside or doing any drug use around the area," Rose said. Raymond Landry, the co-ordinator of the Homelessness Network, said the recent Canada Post strike may have also contributed to the higher than expected number. "Most people on assistance, whether [Ontario Disability Support Program] or [Ontario Works,] were called into the office to pick up their checks instead of being mailed out," Landry said. "So that may have increased the population in the inner city."